The first issue I already have learned this might be a problem of the UM3 and may be related to the way the stepper motors are driven? The second issue - rough surface at lower layers - is a bit tricky. 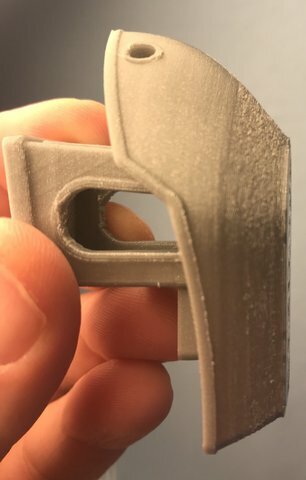 I did use the silver UM PLA that came with the printer and the standard profile for that in Cura. So bed Temp was at 60°C, print temp was 205°C. Does somebody have some hints to improve? Hm, no idea whatsoever anybody?